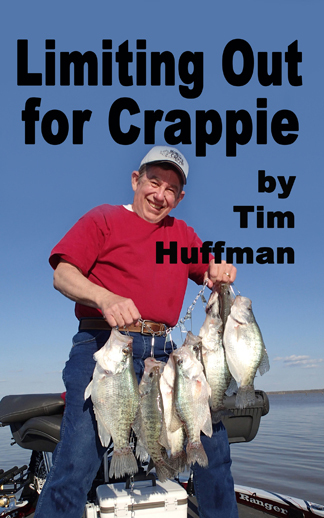 This gentleman displays a good stringer of crappie caught from a dock. Look for brush and use light tackle. 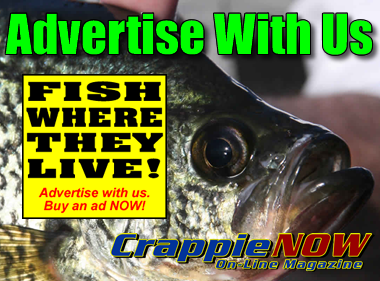 One place you always can find crappie throughout most of the year is under or near floating boat docks. Most people who rent slips in a boat dock will put brush at the back end or the front end of that boat slip. 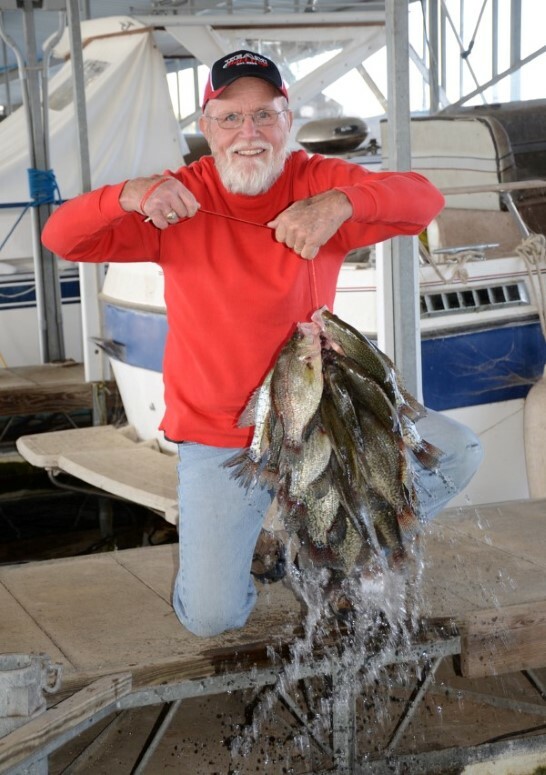 Ask the marina owner if you can fish in one of those vacant slips. 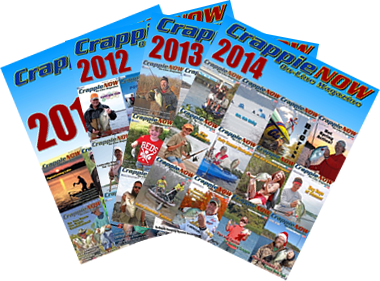 If you can’t fish there, consider the possibility of leasing one of those slips just as though you have a boat to put in it. But instead, sink brush or stake beds in the slip. 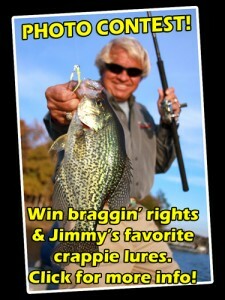 Crappie will come to brush. If you put brush in a boat slip, you can go to your slip and fish any time of the day or night and at any time of the year. This tactic works best on deepwater floating docks. Jeff Williams is the owner of Outdoor BrandZ in Grove, Oklahoma. He makes and distributes the Fle-Fly www.flefly.com.